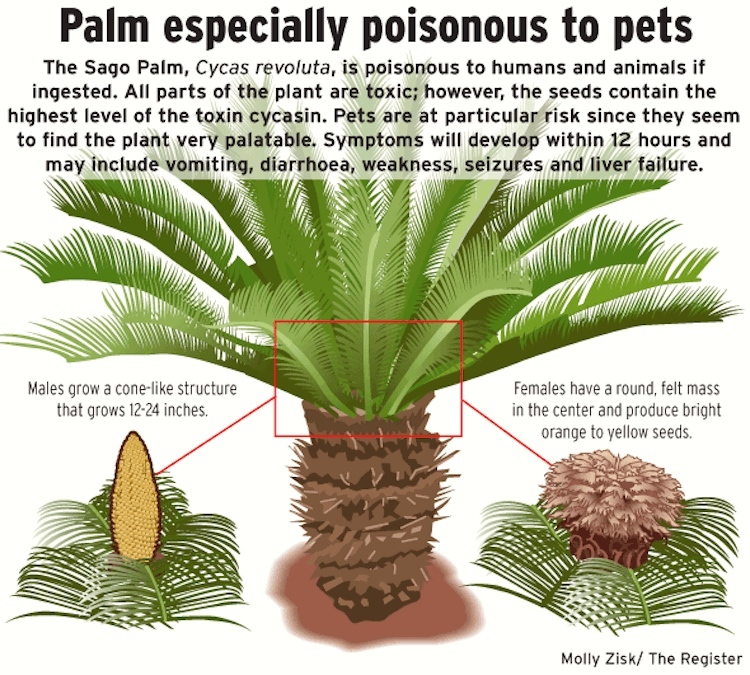 Cycas revoluta (sago palm, king sago, sago cycad, Japanese sago palm), is a species of gymnosperm in the family Cycadaceae, native to southern Japan including the Ryukyu Islands. It is one of several species used for the production of sago, as well as an ornamental plant. 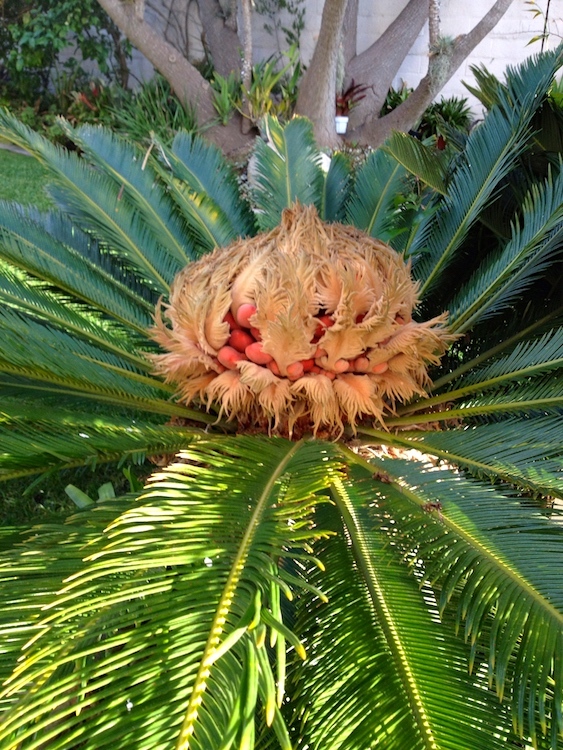 … Of all the cycads, C. revoluta is the most popular in cultivation. It is seen in almost all botanical gardens, in both temperate and tropical locations. In many areas of the world, it is heavily promoted commercially as a landscape plant. It is also quite popular as a bonsai plant. Sago is a starch extracted from the spongy centre, or pith, of various tropical palm stems, especially that of Metroxylon sagu. It is a major staple food for the lowland peoples of New Guinea and the Moluccas, where it is called saksak, rabia and sagu. The largest supply of sago comes from Southeast Asia, particularly Indonesia and Malaysia. Large quantities of sago are sent to Europe and North America for cooking purposes. It is traditionally cooked and eaten in various forms, such as rolled into balls, mixed with boiling water to form a glue-like paste (papeda), or as a pancake. Sago is often produced commercially in the form of “pearls” (small rounded starch aggregates, partly gelatinized by heating). Sago pearls can be boiled with water or milk and sugar to make a sweet sago pudding. Sago pearls are similar in appearance as the pearled starches of other origin, e.g. cassava starch (tapioca) and potato starch, and they may be used interchangeably in some dishes. The name sago is also sometimes used for starch extracted from other sources, especially the sago cycad, Cycas revoluta. 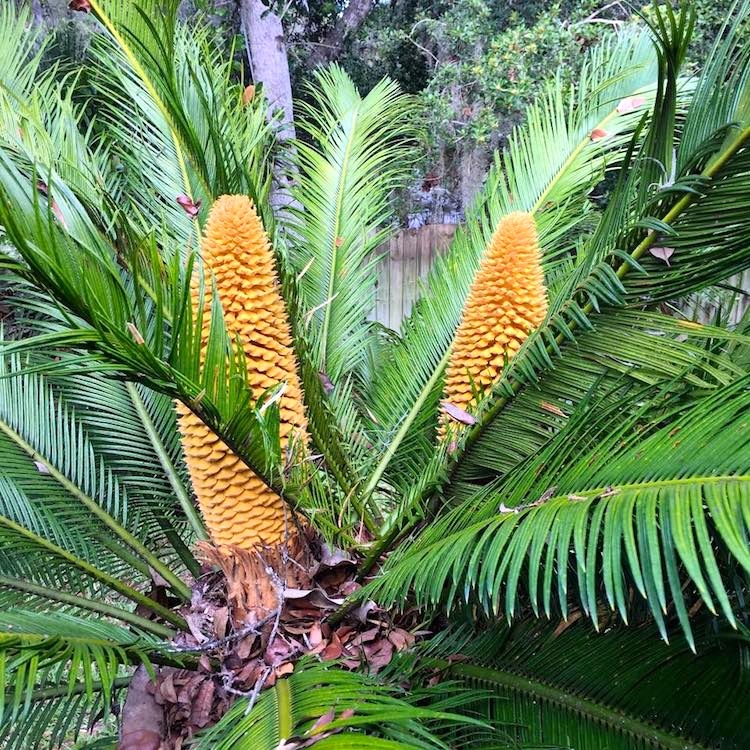 The sago cycad is also commonly known (confusingly) as the sago palm, although this is a misnomer as cycads are not palms. Extracting edible starch from the sago cycad requires special care due to the poisonous nature of cycads [cutting the pith from the stem, root and seeds of the cycads, grinding the pith to a coarse flour, before being dried, pounded, and soaked; the starch is then washed carefully and repeatedly to leach out the natural toxins; the starchy residue is then dried and cooked]. Cycad sago is used for many of the same purposes as palm sago. I often wonder how people discovered what it took to turn cycad material, cassava / yuca / manioc tubers, and acorns into safe, edible starch. This entry was posted on August 25, 2017 at 2:13 pm and is filed under Language and food, Language and plants. You can follow any responses to this entry through the RSS 2.0 feed. You can leave a response, or trackback from your own site.